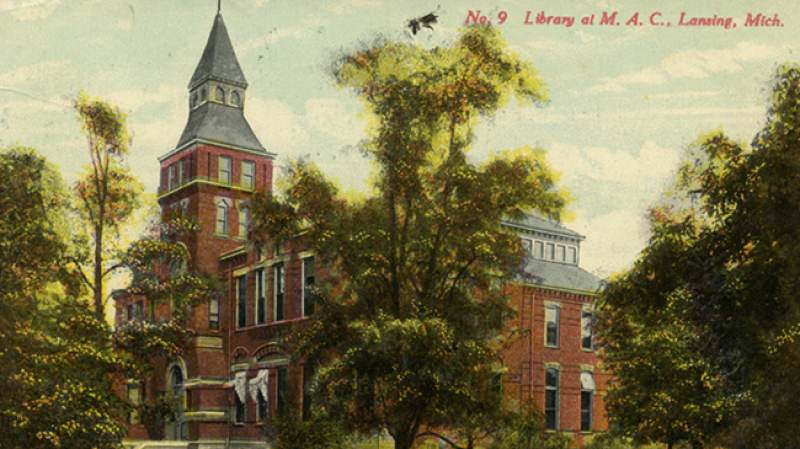 Undergraduate education is at the core of our land grant mission. We aim to expand students’ horizons through the pursuit of knowledge, discovery, engagement, and opportunities to apply learning to make the world a better place. Our challenge is to ensure access to an MSU education to promising high school students, from Michigan, across the country, and around the world. Diversity is key to our success. We seek to remove barriers to education, allowing students to achieve their full potential. We want students working side by side with faculty, becoming a part of our scholarly community, and making their contributions both inside and outside of the classroom. We have a long tradition of welcoming students who are the first in their families to attend college, and we also have a base of families who have attended MSU for many generations. 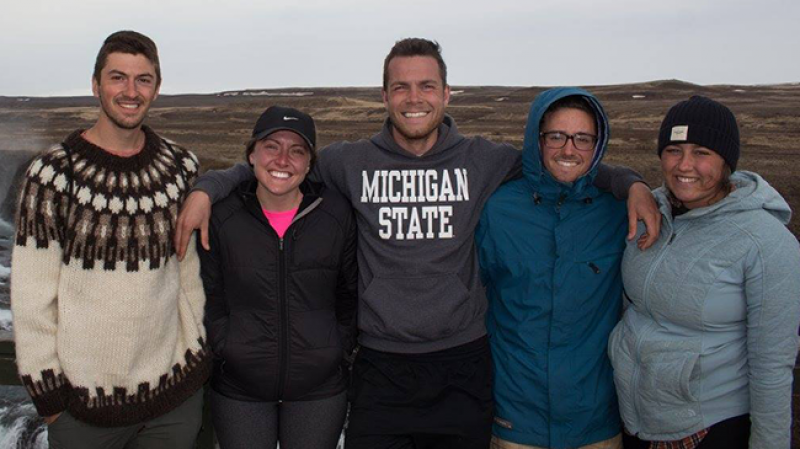 This makes MSU a great place for undergraduates to build an academic foundation with students from many different backgrounds, learning to appreciate different perspectives and learn from each other. While MSU offers a world-class education, sometimes the most intense learning takes place away from the classroom. Experiential learning - including study abraod, study away (somewhere in the United States), an internship, or undergraduate research - has become a vital part of undergraduate education. This is especially true for research. When undergraduates work alongside faculty members and graduate students, they help solve problems and see knowledge being created - not just served up in a textbook. Just as a picture is said to be worth a thousand words, academic investigation in a lab, the field, or a library is often more illuminating than time spent in a classroom. In collaboration with people from multiple disciplines, students experience the benefits of teamwork, and come to see that discoveries result less from “Aha!” moments and more from critical thinking, precise and exacting work, and dynamic collaboration among team members. They develop skills that will serve them well over the course of their lives. Many choose to share their experiences at the University Undergraduate Research and Arts Forum, an annual competition that provides Michigan State undergraduates the opportunity to highlight their scholarship and creative endeavors by presenting their findings to faculty, peers, and external audiences. In addition to traditional undergraduate scholarships, we are also seeking support that will expand access for undergraduates to participate in experiential learning opportunities. 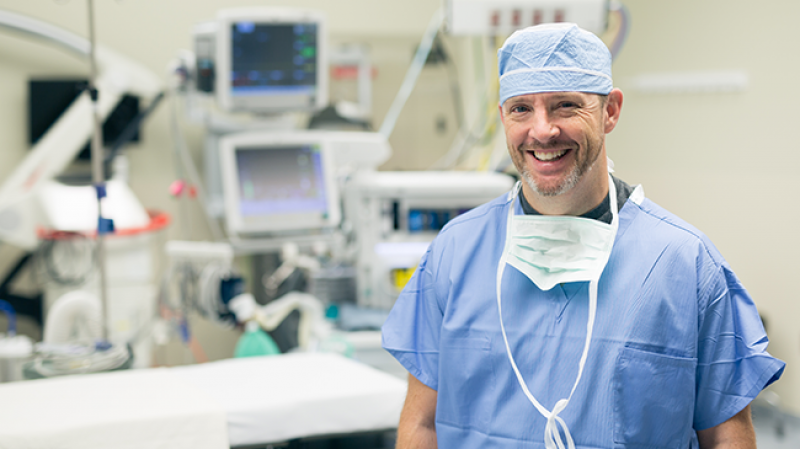 Your gift of $1,000,000 creates a named all-inclusive scholarship endowment. All-inclusive scholarships effectively allow students to attend Michigan State University at no cost. These awards pay for full tuition, fees, room & board for one student at the out-of-state rate, leaving students to pay just for books and extraneous living expenses. If an in-state student receives the award the remaining balance of the investment income may be reinvested. 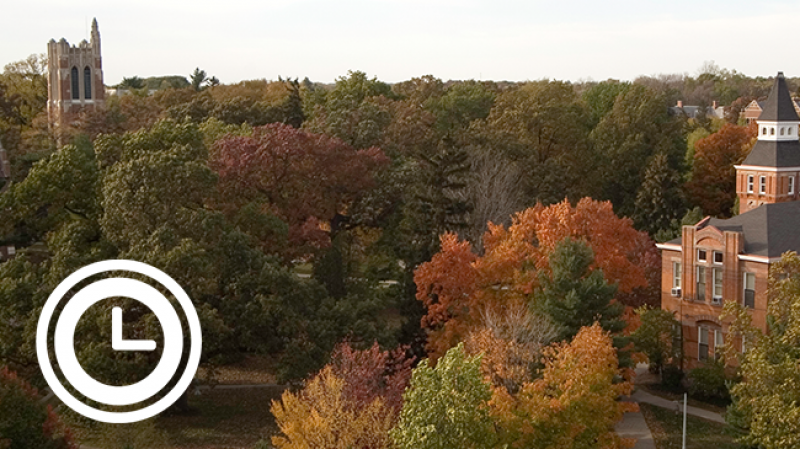 Your gift of $750,000 creates a named full tuition scholarship endowment. 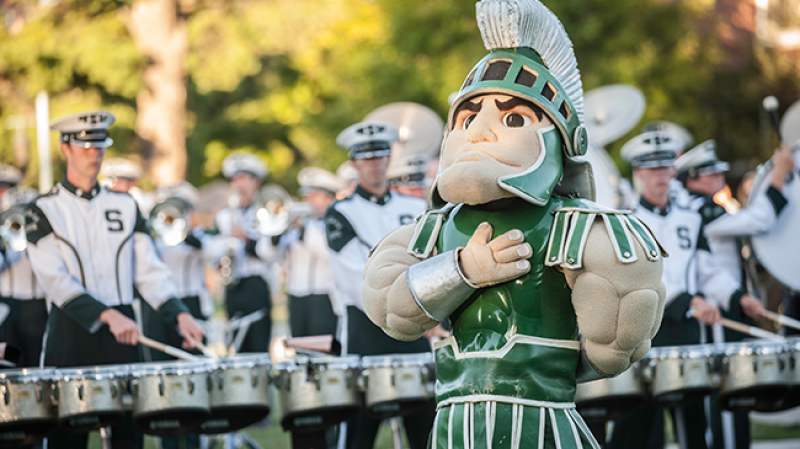 Full tuition scholarship awards help to alleviate the costs for students to attend Michigan State University by paying for the full tuition for one student at the out-of-state rate, leaving students to pay just for fees, room & board, school supplies and extraneous living expenses. If an in-state student receives the award the remaining balance of the investment income may be reinvested. Your gift of $250,000 creates a named partial tuition scholarship endowment that pays for half of one student’s tuition at the in-state rate. Your gift of $100,000 creates a named partial tuition scholarship endowment used for recruitment, and provides partial tuition scholarships for one or more students (depending on the size of the gift or endowment). Each scholarship will be a minimum of $5,000. Your gift of at least $50,000 creates a named freshman seminar abroad award endowment. A freshman seminar abroad award allows a student to participate in the freshman seminar abroad program at no cost to the student. The freshman seminar abroad program is open to all first-year students and allows them to explore intriguing topics in small, intimate learning environments as part of a study abroad program during the summer before they come to campus for their first year of college. Your gift of $200,000 creates a named University Undergraduate Research & Arts Forum (UURAF) Award endowment. This endowment provides award funding in recognition of the outstanding efforts of student winners in the UURAF competition. This event provides Michigan State undergraduate students with an opportunity to showcase their scholarship and creative activity. Gifts of any size can support programs and opportunities that allow students to become adaptive innovators through educational programs that span boundaries and special projects (such as research, creative and entrepreneurial initiatives) will allow our students to prepare to work on society’s grand challenges. Gifts in support of adaptive innovations initiatives can help us prepare students for working in the modern world. Gifts of any size can be contributed to the Associate Provost for Undergraduate Education Strategic Initiatives Fund. Monies will be spent on areas of strategic significance to undergraduate education, which may include: sponsorship monies for high quality students to attend conferences and present their research, or provide emergency assistance for students in need that might not otherwise be covered by other funds. 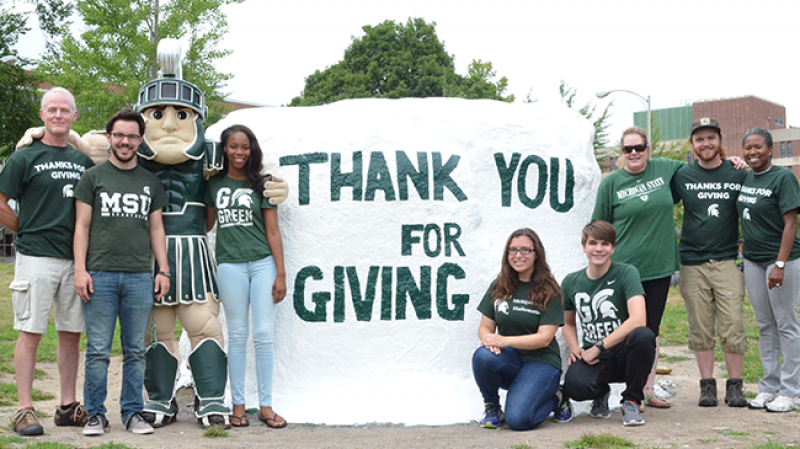 Gifts to support scholarships will receive credit for Michigan State University donor recognition groups. 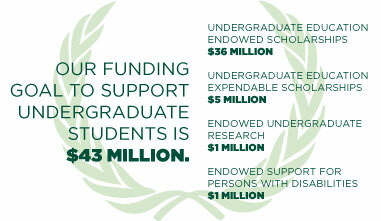 Multi-year pledges to support the endowments are encouraged. Gifts payable over five years are readily accommodated. If you or your spouse work for a matching gift company, your gift may be matched at a 1:1 or 2:1 ratio from your company. The University Scholarships & Fellowships Advancement Office would be pleased to discuss how you may include Michigan State University in your estate plans. I want to create a scholarship at Michigan State University. What are my next steps? If you would like to create a scholarship to benefit students at MSU, please contact our office by email at bertram9@msu.edu or by phone at 1-517-432-7345. We are happy to assist you in the process of creating a gift in support of our students. Our office will work with you to draft a legal endowment or expendable fund agreement, outlining the criteria and procedures for dispersing the award.